I caught Kayla and Rhythm taking a nap yesterday afternoon. 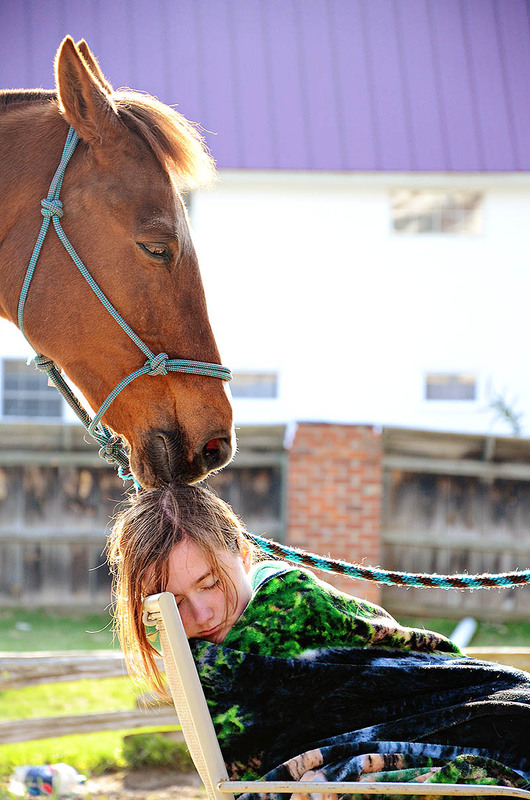 Kayla had intended on reading a book while Rhythm munched on some hay but instead they both fell asleep. What a great picture. You should enter this in the Dover Saddlery picture contest.